Usually, when I am reviewing a book, I have a clear mind of what I think about it. 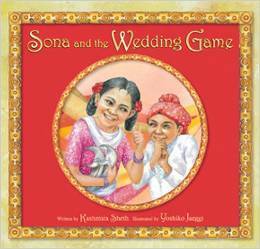 Sona and the Wedding Game happens to be one of those books that I had to think a little harder than usual. This is the story of a fictional Hindu wedding but is based on real-life weddings for some Hindus. I thought the tradition of stealing a groom's shoes was very different but the book explains the reason and it is all about family. In fact, the book makes it clear that every nuance of this kind of wedding is to bring two families closer together. I like that! The few illustrations I was able to see were colorful and cute. Unfortunately, the copy I had on Kindle did not convey as well as I would have liked to have seen. In fact, I think they were missing altogether. I do not think that is the fault of the author but if it had been a child trying to read the book, it would have been disappointing. The book is a nice glimpse into some of India's rich culture It is only a small part, but still yet still worth reading, especially if learning about India. That story sounds like one my granddaughter would be interested in. I'll have to let her know about it. Thanks for sharing. Shared! What a great reading project. Michelle, the summary of this story sounds intriguing but as I've pointed out if the illustrations are lacking then I more than likely will loose interest. I hope the printed version is more visual. Thanks for sharing! 5 Stars-I loved this book! 4 Stars-I liked this book. 3 Stars-This book was okay. 2 Stars-I finished the book but didn't like it. 1 Star-I hated this book! 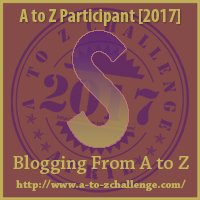 Want to be added to A-Z list? Share book reviews and ratings with Naila, and even join a book club on Goodreads. Crappy to Happy:Small Steps to Big Happiness Now! I Want To Do Yoga Too.